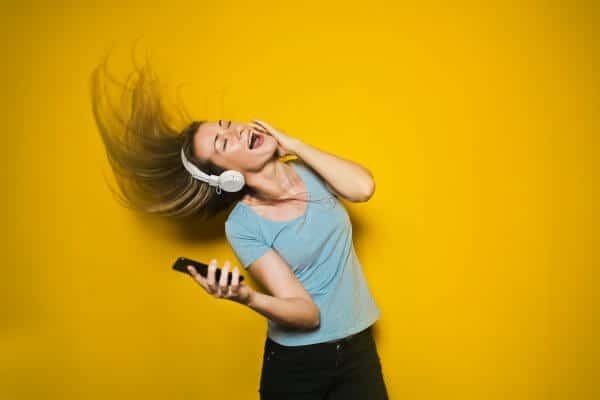 It’s generally accepted that listening to music from birth, or even before, will create neuron pathways in the brain, making understanding the world around us a little easier and the excel of languages a bit faster. If listening to music does that, then what does learning an instrument do and what’s the importance of music education? Whether music lessons are taken in school or privately, taking up a musical instrument has numerous benefits which we’ll take a look at here. At its root, music is based on math, but in a rather secretive way. When we tap our toes in time to the music we are essentially counting the number of beats. When we clap off-beats, we are feeling syncopation. These are things we humans do instinctively, and that’s the wonderful thing about music – it’s organic and instinctive. Building on these instincts, music education is important because it helps us make sense of it on a conscious level so we can understand it and replicate it. It has been shown that children who study music tend to understand fundamental math more readily. Admittedly, learning an instrument can be a lonely activity when it comes to practicing. But once you can get into playing duets, playing in small groups – and eventually, playing with an orchestra, the social aspects are significant and often instigate lifelong friendships and incredible social skills. It’s an amazing moment when you walk into a room full of people who have also been practicing alone, to find you all have one main thing in common, the love of playing music. These people speak your language, understand your jokes about “A flat minor” and share your love of certain composers or pieces. You can also commiserate about playing scales, and in the case of playing in an orchestra or band, there is a chance to build amazing team building skills. Although to some people this may not seem so significant but this is just one of the reasons that defend the importance of music education for every child’s development. Not only does playing an instrument have benefits but so does singing in the school choir. I’m sure you’re now asking, why is music education important here? Well because it’s good for our souls, emotionally and mentally. Singing encourages us to breathe deeply and consciously, getting more oxygen into our blood. It improves our listening skills enormously and gives us a chance to perform in a supportive environment, receive positive feedback from an audience, and feel good about ourselves. Just the act of singing lifts the spirits. Music education is important to help train the ear in several ways. We listen for rhythm, tone and even language. A singer becomes aware of each vowel sound and how they feel when sung correctly. The instructions within a piece of music help guide the musician with how loud, soft, fast, slow a piece should go which really comes in hand for pieces in foreign languages. This all gives the student the chance to learn another language, in addition, their native one. Opera students will learn whole songs in foreign languages which often forges a love of linguistics and understanding for other cultures. Playing along to a metronome while playing an instrument is a double-listening skill which takes practice. This can be done with a music education app which has a selection of different beats or drum sounds to make it more fun. A step up from this is listening to others play while playing themselves – i.e. playing in a group – a form of multitasking, but for the ear. Learning an instrument advances dexterity and increases fine motor skills. This works as much in the brain as it does in the hands, as the messages come from the brain first and then travel onwards. But as the fingers have muscles which in turn develops “muscle memory” in them, our fingers will be able to just perform the task seemingly without the brain being involved. 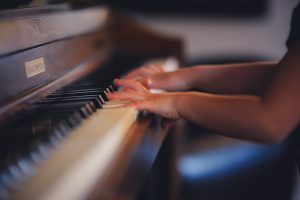 This comes to light for a musician who picks up a piece of music they studied years ago but haven’t played for years and find their fingers “remember” it, demonstrating the importance of music education. Apart from our fingers independently remembering pieces of music, our brains are constantly working at remembering while we are practicing and are processing a great deal of information, (and even when we have finished practicing). Having to decipher all the dotted notes is only one part of the process. Decoding the rhythm, the tone, the speed, and maybe even the harmony all at once is not easy, but doing this for half an hour to an hour gives our brain a great work out. Likewise, sending all those messages from the brain to the fingers and hitting the right notes in the correct order is another step in the process. Which finger plays which note is fundamental to most instruments, so this takes the workout to the next level. Music education doesn’t only teach students about music or playing an instrument but it’s also teaching them life long skills and training children in other areas, and this is just another reason why music education is important. 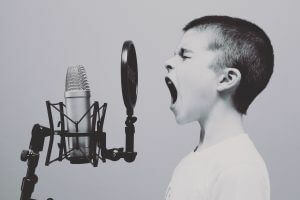 A good music teacher will build relaxation into a student’s practice habit, making sure that the shoulders, arms, and hands are relaxed – and not tensing through difficult bits and when hitting the inevitable wrong note. It’s essential that relaxation is built in because then playing an instrument really does relieve stress and becomes a relaxing thing to do. This makes it more enjoyable, which in turn encourages more practice. When stress builds up from a day at school, a good pound on the piano or blow through the trumpet should work wonders to relieve the stress and make the young musician feel calmer. This in itself demonstrates the importance of music education. Daily practice is essential to getting ahead in one’s practice and so it becomes an integral part of learning. Practicing at the same time of day, for around the same amount of time, every single day forges good habits. Over time a student will start seeing amazing results as they advance in their practice, which leads to them wanting to do more. The great thing is this carries over into other areas in life. For children, seeing the sense of applying the same practice habits to their homework or sports practice is fairly natural, as they have already developed this mindset. Music education also helps boost self-esteem, it can help overcome performance anxiety or fear of exams. There comes a moment where it becomes all about the music you want to share, and not about YOU. So regularly getting up and playing in front of classmates at school, performing at small concerts, or, for piano students, playing a public piano at a station or in a cafe can all help overcome performance nerves as you realize that most people are just enjoying your music and not judging you. You are able to build the foundation for your own success! It helps with exam nerves, taking a music exam once a year or so is good practice for more intense school exams as there is generally not so much at stake. A good outcome – which means just doing the best you can on that day will boost your morale when it comes to other exams. But there’s more to the future than just exams. It even boosts creativity and there’s nothing quite like writing your own song. When a child finds a pleasing chord progression or tune when they are playing around, they can create their own song. 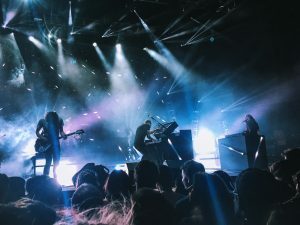 This may lead to them performing their own music and even committing it to paper, which furthers their understanding of music and notation and can even possibly set their career in the future. 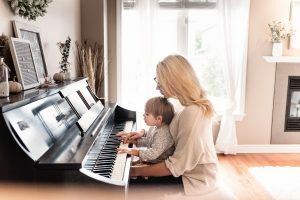 A child’s career is established from early on, and if schools are a stepping stone into one’s career, then the importance of music education is obvious. If music education is removed from schools – who will become the music teachers of the future? A six-year-old who starts an instrument and goes through all the grades and goes on to advanced studies might consider a career in music. Some careers in music include teaching in schools, baby music classes, teaching privately, playing in a classical orchestra, playing for theater, music therapy, music psychology, touring with an orchestra or small group, session musician (freelancing on recordings), composing for film, TV or performers, music producer, recording engineer, singer-songwriter, DJ, music education app designer or Rock Star! Lastly, music education is important because it nurtures children in so many ways. With the right teacher, a child can blossom into a confident adult with skills that can carry over into many other areas in life, open doors to travel and careers and generally cause a great deal of happiness.